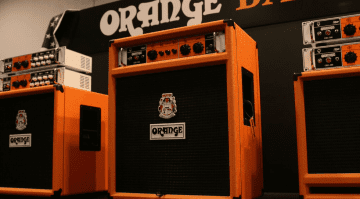 So Orange made the O Bass originally to demonstrate their bass amp range at NAMM 2014. Of course all the people at the show saw it there and asked was it available to buy? 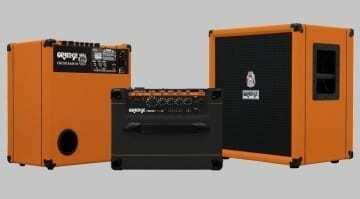 Well this year they finally announced its a production model and it should be shipping very soon. Launched officially at this years NAMM the Orange O Bass is a bolt on neck instrument and is available in three different finishes – Orange, Off-Black and Sunburst. The main body wood is okoumé which has a basswood veneer. The neck is maple with a rosewood fretboard which features 19 frets. Orange have loaded it with a passive split-coil ‘custom wound’ humbucking pickup which is controlled with a simple two knob layout comprising of a Volume and a Tone. So on paper it looks nice and simple with basic features that hopefully will make it fun to play. I always like simple layouts on instruments, as it means you can just get on with playing it. 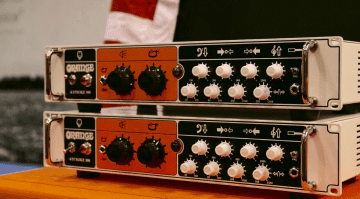 Normally means you can coax the different tones out with your fingers, rather than messing around with switches and knobs. 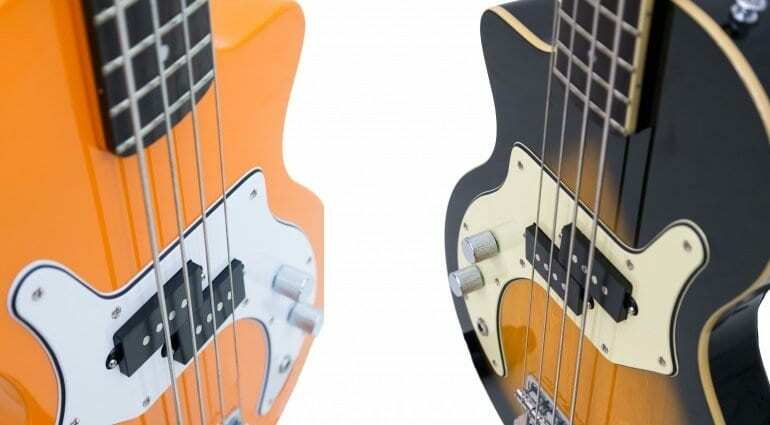 Each O Bass comes in a gig bag which has the Orange logo stitched into it. This is handy as the bass looks like it would be hard work to source the right sized gig bag for. So I was pleased to see they include one on in the price. I haven’t played one yet and have only heard online demos. 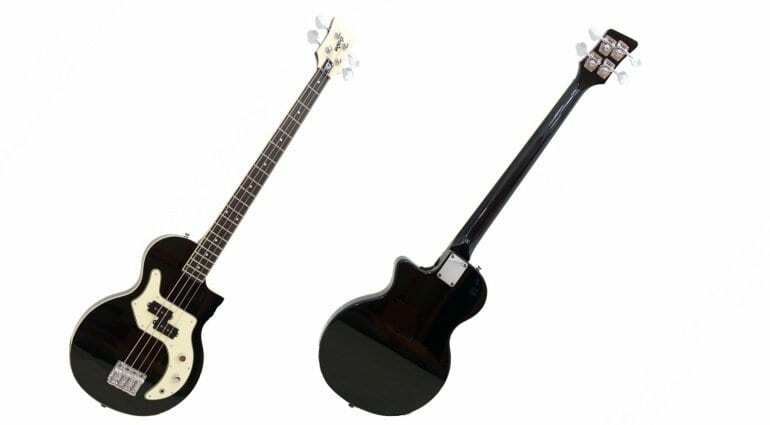 However for the money it looks and sounds like a viable instrument for those on a budget and also those of us that like to have bit of fun with our instruments. I can see it appealing to the Indie Kids and the Alternative crowds, as it has a bit of retro 60s or 70s vibe to it.